Gross merchandise volume (GMV) for the third quarter increased 6% on a foreign exchange (FX) neutral basis, in-line with the prior quarter. Revenue for the quarter was $2.1 billion. eBay Inc. (Nasdaq: EBAY), a global commerce leader, today reported that gross merchandise volume (GMV) for the quarter ended September 30, 2015, increased 6% on a foreign exchange (FX) neutral basis, in-line with the prior quarter. Revenue for the quarter was $2.1 billion, driving non-GAAP net income from continuing operations of $529 million or $0.43 per diluted share, and GAAP net income from continuing operations of $545 million, or $0.45 per diluted share. The company repurchased $599 million of its common stock in the quarter, underscoring management’s confidence in the long-term value of the business. eBay Inc.’s commerce platforms continued to increase the role they play in global commerce, with an Active Buyer base that grew 5% year over year, to 159 million. GMV in the quarter was $19.6 billion, a 6% increase on an FX-Neutral basis and a 2% decline on an as-reported basis, reflecting the continued impact of a strong U.S. dollar. In the U.S., GMV grew 3%, a one point acceleration versus the prior quarter, and International GMV increased 7% on an FX-Neutral basis, while it was down 5% on an as-reported basis. Total revenue in the quarter of $2.1 billion was up 5% on an FX-Neutral basis and down 2% on an as-reported basis. The eBay Classifieds and StubHub platforms both had strong quarters and continue to be key assets aligned with eBay’s overall business strategy. 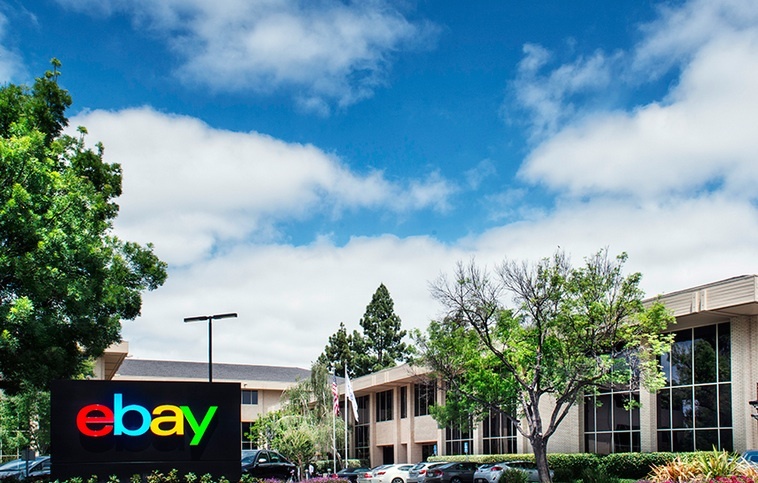 The quarter marked an important milestone for eBay as it celebrated its 20th anniversary with a number of activities, including a seller conference where significant upcoming changes to its seller policies and products were unveiled. These changes, which include more objective standards and a new Seller Hub, are intended to help small and medium sized sellers be even more successful on the eBay platform and better reward sellers who provide great service to eBay buyers. During the quarter, eBay completed the distribution of PayPal and made progress against the completion of the sale of eBay Enterprise. Accordingly, the results of both PayPal and eBay Enterprise are presented as discontinued operations, appearing net of tax in a single line in the company’s statement of income. (1) Includes PayPal financial results from July 1, 2015 to July 17, 2015; July 1, 2014 to September 30, 2014; respectively; also includes the financial results for the full periods, respectively, for eBay Enterprise. Operating margin — GAAP operating margin decreased to 27.6% for the third quarter of 2015, compared to 27.7% for the same period last year. Non-GAAP operating margin decreased to 31.9% in the third quarter, compared to 32.8% for the same period last year. Taxes — The GAAP effective tax rate for continuing operations for the third quarter of 2015 was 18.0%, compared to 17.0% for the third quarter of 2014. The non-GAAP effective tax rate for continuing operations for the third quarter of 2015 was 20.1%, compared to 19.8% for the third quarter of 2014. Cash flow — The company generated $704 million of operating cash flow from continuing operations and $462 million of free cash flow from continuing operations during the third quarter of 2015. Stock repurchase program — The company repurchased approximately $599 million of its common stock, or 21.9 million shares, in the third quarter. The company’s total repurchase authorization remaining as of September 30, 2015 was $2.4 billion. Cash and cash equivalents and non-equity investments — The company’s cash and cash equivalents and non-equity investments portfolio totaled $8.0 billion as of September 30, 2015. Fourth quarter year 2015 — The company expects net revenues between $2,275 million to $2,325 million, representing FX-Neutral growth of 3% – 5%, with Non-GAAP earnings per diluted share from continuing operations in the range of $0.47 – $0.49 and GAAP earnings per diluted share from continuing operations in the range of $0.42 – $0.44. Full year 2015 — The company is maintaining net revenue guidance of 3% – 5% growth on an FX-Neutral basis and increasing Non-GAAP earnings per diluted share from continuing operations to the range of $1.80 – $1.82 and GAAP earnings per diluted share from continuing operations to the range of $1.58 – $1.60.